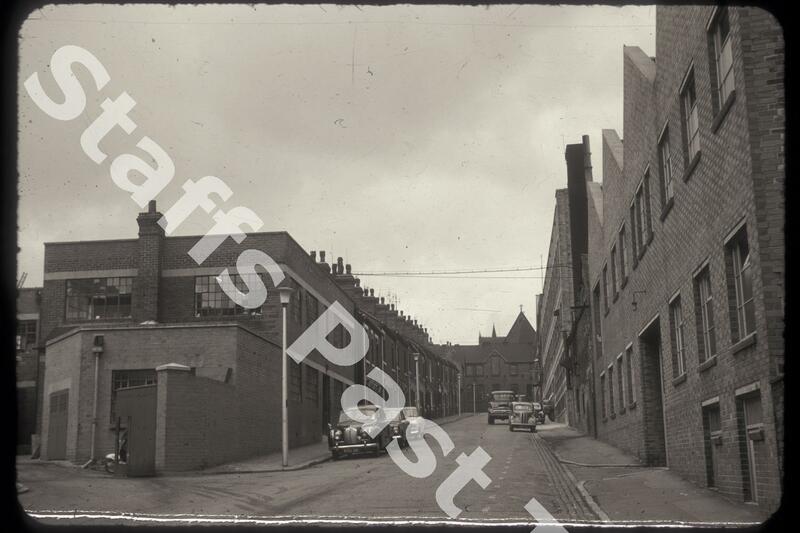 Description:This photograph was taken from the corner of Ephraim Street and is looking northwards up Ogden Road with Regent Road at the top.The buildings at the top are the school attached to Sacred Heart RC Church on Jasper Street, the roof of which is just visible behind. This is now a Parish Centre. Wood's Tileries occupied the Park Works which is on the right hand side of the road in the photograph. The company specialised in tiles for walls and fireplaces, operating in Ogden Road from the 1920s until the end of the 1950s. 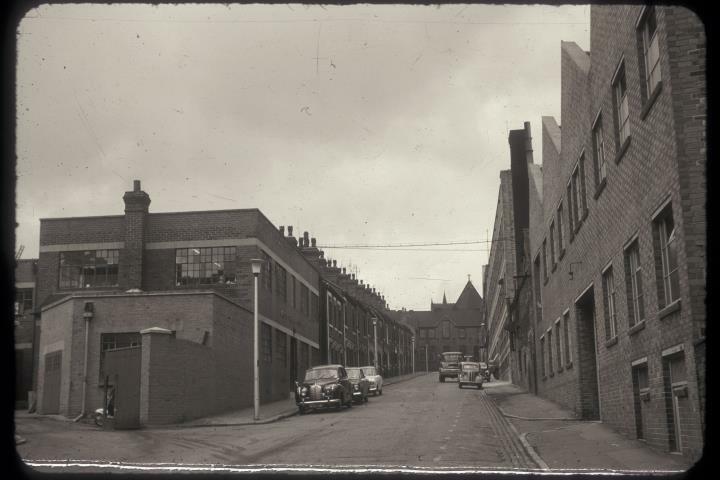 Also on the right is the Lichfield Street works of Sandilands & Co. who produced earthenware from the 1940s. The left hand side of Ogden Road is terraced houses at the top, built in the early 1900s. Most of the buildings in the photograph are still standing and in use.